In high prevalence environments relationship characteristics are likely to be associated with HIV risk, yet evidence indicates general underestimation of risk. Furthermore uncertainty about partner‘s risk may challenge PrEP demand among young African women. 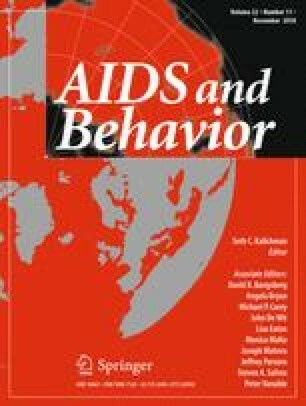 We conducted quantitative and qualitative interviews with women before and after HIV discussions with partners, to explore how partner’s behavior affected risk perceptions and interest in PrEP. Twenty-three women were interviewed once; twelve had a follow-up interview after speaking to their partners. Fourteen women were willing to have their partner contacted; yet two men participated. Several themes related to relationships and risk were identified. These highlighted that young women’s romantic feelings and expectations influenced their perceptions of risk within their relationships, consistent with the concept of motivated reasoning. Findings emphasize challenges in using risk to promote HIV prevention among young women. Framing PrEP in a positive empowering way that avoids linking it to relationship risk may ultimately encourage greater uptake. We would like to pay tribute to the women and men who participated in this study, their participation made this study possible. The contributions of Jonah Leslie are acknowledged as critical in the analysis of this study. This study was supported by the National Institutes of Health (1R01MH107251). Writing of this manuscript was supported in part by internal funds from RTI International. The content is solely the responsibility of the authors and does not necessarily represent the official views of the authors’ employers or funders. This study was funded by the National Institutes of Health (grant number 1R01MH107251).